During the Oct. 22 news conference, Curry said the Episcopal Church took a stand on the Dakota Access Pipeline project, not because of the question of whether oil should be used as an energy source. The decisions involved whether the environmental assessment process was properly conducted and whether the United States respected the Sioux’s rights as a sovereign nation. Curry said he was glad that the federal justice and interior departments, as well as the U.S. Army Corps of Engineers, had called for construction to stand down 20 miles to the east and 20 miles to the west of the Missouri River so that those decisions could be reviewed. The pipeline is routed under the river, which is the reservation’s only source of water. The Episcopal Church’s entry into the protest is rooted in its 2009 repudiation of the Doctrine of Discovery, Curry said. 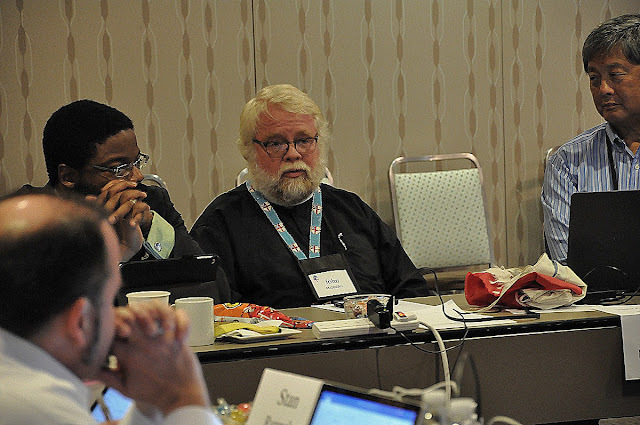 “Part of that action was to say we have got to find more just, equitable and fair ways of being in relationship with our brothers and sisters in the Native communities in our country,” the presiding bishop said. The pipeline protest, he said, is a way of calling people to step back and examine what is the “best, most sensible and most prudent way” to address energy needs of the nation. Curry emphasized that he went to the Standing Rock Nation at the request of Episcopalians involved in the action. 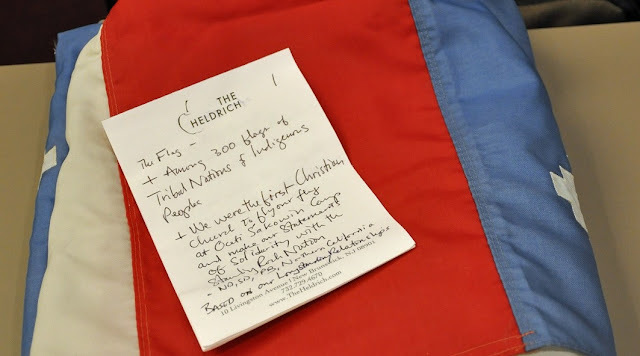 “This flag has flown so proudly,” in part because it was the only Christian church flag at the Dakota Access Pipeline camp in North Dakota, the Rev. 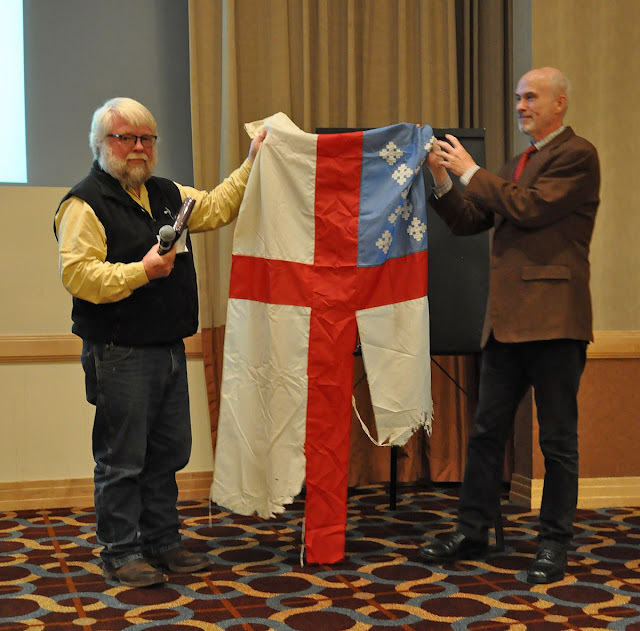 John Floberg told Episcopal Church Canonical Archivist Mark Duffy, right, as he presented the flag to his care. Responses to "Episcopal Church stands with Standing Rock and Water Protectors"